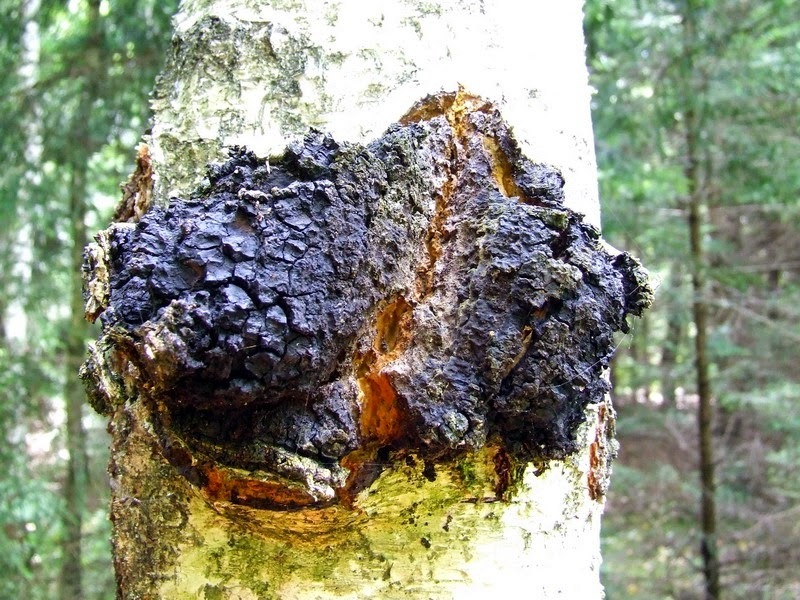 Chaga is a non-toxic fungal parasite that grows on birch trees (as well as a few other types) in Northern climates. It is far from your typical soft and squishy mushroom, it actually looks and feels like burnt wood or charcoal. 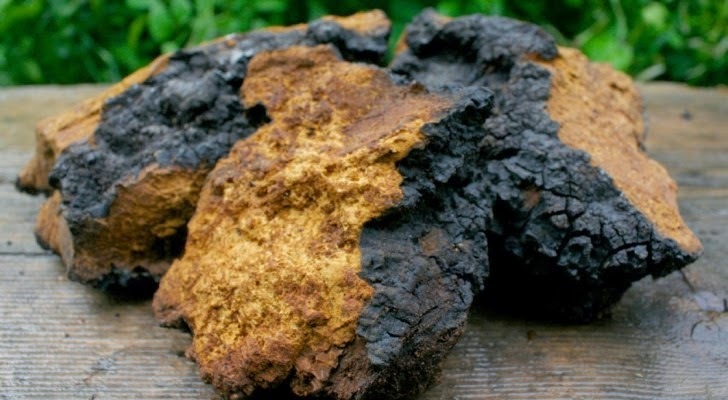 Chaga is known by the Siberians as the “Gift From God” and the “Mushroom of Immortality.” The Japanese call it “The Diamond of the Forest,” and the Chinese refer to it as the “King of Plants.” The Chinese also regard it as an amazing factor inachieving longevity. Chaga does grow in North America, but most Americans have no clue of its existence, let alone amazing healing properties, which will be listed below. This mushroom of immortality is said to have the highest level of anti-oxidants of any food in the world and also, the highest level of superoxide dismutase (one of the body’s primary internal anti-oxidant defenses) that can be detected in any food or herb. The active constituents of Chaga are a combination of: amino acids, beta glucans, betulinic acid, calcium, chloride, copper, dietary fiber, enzymes, flavonoids, germanium, iron, lanosterol, manganese, magnesium, melanin, pantothenic acid, phenols, phosphorus, polysaccharides, potassium, saponins, selenium, sodium, sterols, trametenolic acid, tripeptides, triterpenes, triterpenoids, vannillic acid, vitamin B1, vitamin B2, vitamin B3, Vitamin D2, Vitamin K and zinc. Phew. Chaga is extremely powerful because it contains within it, the actual life force of trees -the most powerful living beings on this Earth. Trees can live for as long as 10,000 years with some even surpassing that. Chaga concentrates this power, and we can harvest it as well. One of the most important properties of Chaga is betulinic acid, however, in order for chaga to be beneficial, it has to be harvested from birch trees only. Birch trees are the only trees that contain this amazing compound. Betulinic acid has a wide range of biological effects including potent antitumor activity. Anti-HIV – a study published in The Pharmological Potential Of Mushrooms demonstrated chaga’s potential to lessen symptoms of HIV. Antibacterial – Chaga kills or inhibits growth or replication by suppressing or destroying the reproduction of bacteria. Anti-Inflammatory – Chaga is known to be a powerful anti-inflammatory and pain reliever, which makes it excellent for conditions such as arthritis. Anti-Candida – Because chaga promotes and protects the liver, candida toxins are processed efficiently. Many other potential benefits include the treatment of asthma, hair loss, allergies, boosting the immune system, diabetes, Crohn’s Disease, psoriasis, anti-aging and literally hundreds of others. Chaga mushrooms grow wild in forests in Northern climates on birch trees. If you are lucky enough to find one, you’ll want to harvest it, as chaga can be quite expensive to purchase. DO NOT cut into the tree to retrieve the chaga, doing so could kill the tree. If retrieved correctly the chaga will continue to grow and will be ready to harvest every four years or so, and the tree will continue to thrive. To make the tea, cut a few small pieces off the chaga and place it in a pot. Pour in about 2 liters of filtered water and cover with a lid. Bring the pot to a boil for a minute or so, then reduce the heat to a simmer and keep the lid off. Let this simmer for about an hour and then add in another liter of water and continue to simmer with the lid on for another hour. This will make approximately 1 liter of chaga mushroom tea. It is a time consuming process, but I think that the amazing benefits justify the process, plus it tastes great! It tastes like a nice vanilla flavored black tea. You can add honey or sweetener if you wish, but I think it tastes surprisingly delicious on its own. You can also grind up the mushroom into a powder form, or make it into a tincture for convenience. Please see thislink for more details. 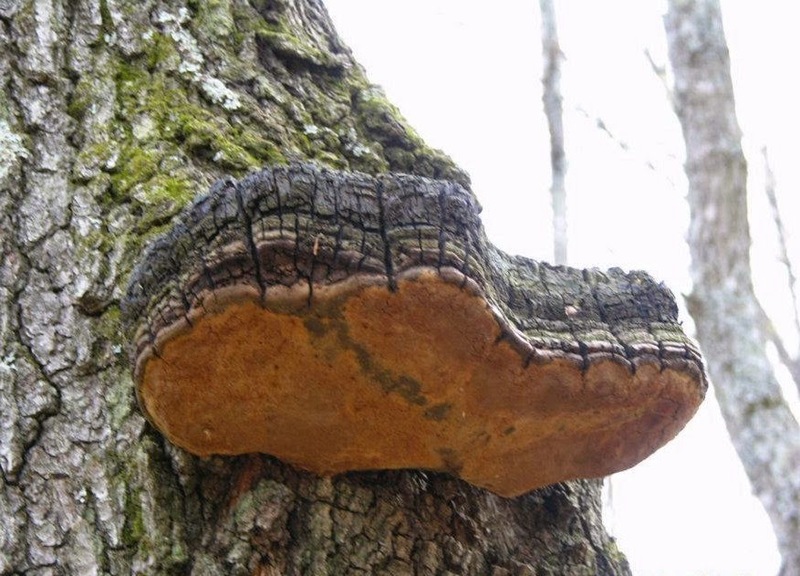 Spreading the word about chaga is amazing but the third photo down on your blog is not chaga – it is Phellinus igniarius.